If you’re thinking about a golf trip to Scotland or Ireland, now’s a good time to start your planning for next year. Question No. 1 is whether to organize your own itinerary piecemeal or buy a package. I’ve done both and each has its pluses. 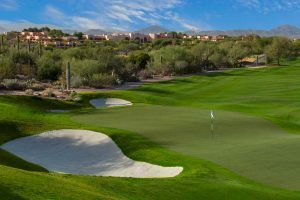 For golfers who have never traveled abroad, a turnkey package with a driver offers the advantage of relying on your booker’s expertise. 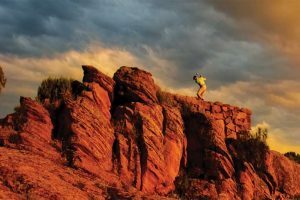 A driver-escorted tour eliminates stress for those intimidated by the idea of driving on the left side of the road. 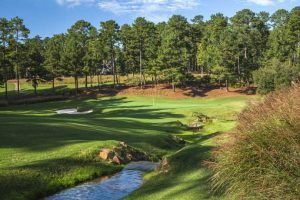 While a driver-escorted tour is more expensive, it frees you and your group to imbibe at the 19th holes of the courses you play or at local pubs or distilleries. Unlike the 0.08 percent breath alcohol standard for driving under the influence in the U.S., the standard in Ireland and the U.K. is 0.05 percent. A few years ago, I booked a flight-and-B&B package to Ireland through an Aer Lingus for myself and two friends, but I handled the rental car and tee times myself. The main challenge, I found, aside from midnight transatlantic faxes, was getting a good feel for how long it took to drive between two points in western Ireland, where the roads are slow and narrow. I’ve also taken a trip organized by Perry Golf, the premier golf tour operator in Ireland and the U.K. 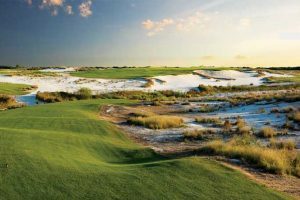 This past summer I signed on with a trip through an up-and-coming packager, Fore Golf Tours of Bartlesville, Okla., which is expected to receive status at St. Andrews to allow it to offer guaranteed tee times at the Old Course starting in 2018. In the case of Perry Golf, my playing partner and I opted for a rental-car self-drive package. 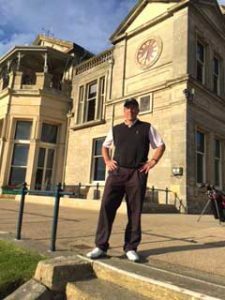 Once we chose our courses – Turnberry’s Ailsa, Western Gailes, Dalmahoy, Royal Dornoch, Old Moray and Nairn – Perry Golf booked the tee times and hotels and arranged for our rental car. A Perry Golf rep met us upon our arrival in Glasgow and gave us a much-appreciated orientation. As you can see from the courses we selected, they span much of the length of Scotland, which meant that we did a lot of driving and saw quite a lot of the countryside. Once in the car, getting comfortable on the left side of the road and shifting a manual transmission with the left hand took maybe 15 minutes. Driving on the left requires concentration, but it’s not as hard as people fear. The trick is simply to think and even talk through what you’re about to do and to suppress your natural reflexes, especially when turning right. That and remembering to look right when entering a roundabout (I’ll admit we did several loops of the first few we encountered – in one case, we went around four times – until we got our bearings). 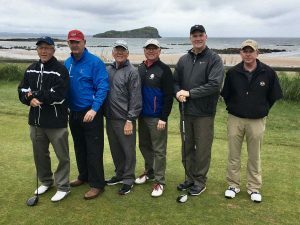 For this past summer’s Fore Golf Tours trip, I was a late addition to a party organized by Ken MacLeod of Tulsa, Okla., a friend and editor of Golf Oklahoma magazine. The trip would start in Inverness and end in Edinburgh. Ken and the other four players, mostly members of his weekend golf group, flew from Tulsa via Delta and KLM through Atlanta and Amsterdam to Inverness. I flew non-stop on American from New York’s Kennedy to Edinburgh a day early and made an easy connection with a ScotRail train via the airport tram. That put me, my golf bag and a roller bag at the Inverness ScotRail station just 170 yards from the J.D. Wetherspoon King’s Highway Hotel, a cozy property downtown I’d picked out on Booking.com that was perfect, with a bar and restaurant on premises. The next morning, a Sunday, the Fore Golf Tours van collected the other guys at the Inverness Airport, picked me up at my hotel and we all headed north. Our itinerary started in the Highlands, north of the Firth of Moray. Over the next week we’d work our way south and east through Aberdeenshire to Edinburgh and St. Andrews. The first stop was Brora Golf Club, north of Dornoch. To keep you on your toes, Brora has knee-high electrified wires around its greens to keep the sheep off the putting surface. At least one of our group took the relatively benign conditions at Brora as a sign of what lay ahead. The eight-passenger Fore Golf Tours coach was well-appointed with leather seats and club seating at the rear. It was tall enough for me at 6-foot-2 and the trip's even taller “Tall Paul” (as opposed to “Short Paul,” also on the trip) to walk in the aisle without banging our heads. The van’s trunk, or boot, easily handled the group’s golf bags and baggage, including Short Paul’s massive collection of luggage. Our daily routine consisted of our driver, Robin, fetching us in the van, driving to our next course, then picking us up at the end of the day and dropping us off at our hotel. 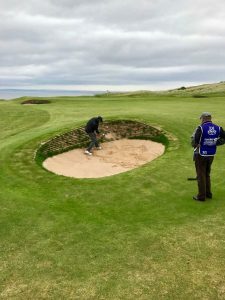 Our itinerary, selected by Ken in consultation with Fore Golf Tours’ operator, Jim Mills, focused on Scottish Open courses: Brora, Royal Dornoch, Castle Stuart, Cruden Bay, Carnoustie, Royal Aberdeen, Gullane No. 1 and North Berwick (West). All in all, a strong selection. 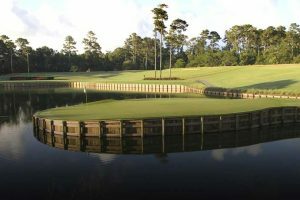 Seven of the courses we played are listed in Golf magazine’s top 100 courses in the world. The lodging choices – Dornoch Castle, the Kilmarnock Arms, the Gullane Inn and the Russell Arms and the Edinburgh Airport Doubletree – were perfect, each in its own way. All had exceptionally good food. Ken was the impetus for the trip. “People have told me that my low, boring shot was a good fit for Scotland,” he told me. The trip proved him right. He played superbly, scoring in the 70s on championship links courses he had never seen before. The itinerary left a day open for the group to play the Old Course, should one of the two names of the Fore Golf Tours employees entered in the daily tee-time lottery get lucky. As a back-up, the group scheduled morning tee times at Kingsbarns, site of the 2017 Ricoh Women’s British Open. Sadly, the Old Course lottery was a bust. As our group sat forlornly in the bar of the Russell Arms Hotel, a mere 300 yards up The Scores Road from the first tee of the Old Course, the other five griped about being so close yet not getting to play it. The bartender, the hotel’s owner, overheard their lament and broke in. 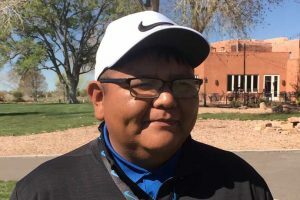 If you really want to play it, he counseled, be at the starter’s shack when it opens at 5 a.m. and try to claim any unbooked tee times. All five arose before dawn, got in line and all five snagged tee times as single and twosomes late in the day. 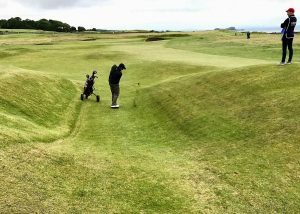 Because my legs were shot from six solid days of walking 18 holes each day, and having played the Old Course on a previous trip, I took a pass, figuring I could do without another 14th hole collapse, especially on that hallowed course. As the others headed out for Kingsbarns, I lollygagged through yet another Scottish breakfast (eggs, ham-like bacon, sausage, grilled tomato, a hockey puck each of hash browns and blood pudding, toast and coffee). I chatted with our 22-year-old Canadian server, who was nearing the end of her two-year stay in the U.K. and was planning in another month to see what Australia had to offer. I told her about my caddie at Royal Aberdeen, Michael, a 20-year-old and third-generation oil-rig worker, who lamented Brexit and losing the opportunity to work elsewhere in the EU. She agreed that young Brits had voted for staying for that very reason, in Scotland especially, while older people misled by the false promise that Brexit savings would be plowed into the national healthcare system, voted overwhelmingly to leave. At mid-morning, I ventured out on a wonderfully sunny and warm July day to downtown St. Andrews for coffee, lunch, shopping, people watching, postcard writing and some reading. 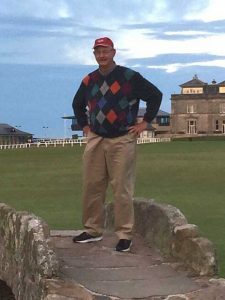 Knowing my traveling companions would be finishing their second round of the day at the Old Course at around 8 p.m., I headed over to the promenade behind the 18th green. First in was Ken, whose caddie reported that he’d played well, “save for a couple loose swings” that brought him in with a 79. We took his bag up to the Russell Arms, grabbed a beer at The Scores Hotel, then headed out to the Road Hole 17th to walk in with the others, pausing, of course, to pose on the Swilkin Bridge on No. 18 for photos. St. Andrews is a college town and a world-class destination. As such, it offers every type of cuisine imaginable. One night the group ate Italian at Little Italy, a lively restaurant on a narrow lane off Market Street. Another night, Mike and I broke away from the group to try a meal at Tulsi, a combined Indian/Thai restaurant on Market. I ordered Thai; Mike went with Indian; we both came away pleased. After two more rounds, one at Gullane No. 1 and one at North Berwick (West), which we agreed was the most fun of the courses we'd played on the trip, we gathered for a final dinner at the Edinburgh Airport Doubletree Hotel, complimented ourselves for a fine trip graced by fine weather, and the next morning we boarded the hotel shuttle to our departing flights for home. 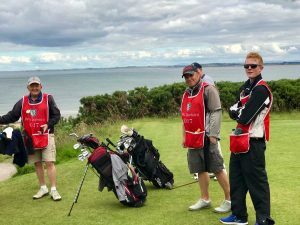 A fore caddie, who guides an entire foursome, doesn’t carry your bag but does all the usual caddie duties for all members of the group, shuttling back and forth from ball to ball, for the same 75 pounds. Most caddies and fore caddies are members at the clubs you play and often will take off their caddie bibs and go out and play a round themselves when you’re done. Some clubs offer bag carriers. These generally are teens who may or may not play golf and who do just one thing, carry your bag. A bag carrier might cost 25 pounds. Riding carts? Forget it. In Scotland and Ireland, golf is strictly a walking game. 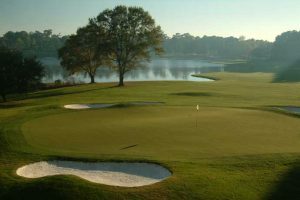 Besides, carts are expensive – as much as 75 pounds, same as a caddie. Plus, if you can’t produce a note from your doctor, they likely won’t rent you one. Push carts are readily available, typically for 5 pounds. Dress. Jeans aren’t allowed most places and shorts are not allowed some places. Hats always come off inside golf clubhouses. 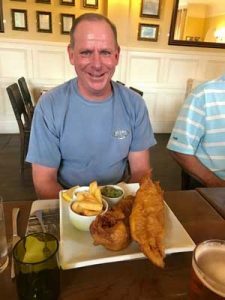 Because golf clubs often offer the best dining available in small Scottish towns, they are social centers for the people who live there. Phone home? If you think you’ll go to Ireland or Scotland more than once, rather than paying your U.S. mobile carrier as much as $10 a day for international service, consider buying a cheap phone (as little as $35) from a provider like O2, Phone Warehouse or Vodafone. All have stores on practically every block. Buying a sim card with as little as 10 pounds worth of minutes will give you more than enough time for calls back to the states (although unused minutes on the cards generally expire after six months). I’ve been topping up the same candy-bar-size Nokia since 2006. All the hotels we stayed at offered reliable free wi-fi, which took care of email, news feeds and other data needs. Take a break. Take a day off. 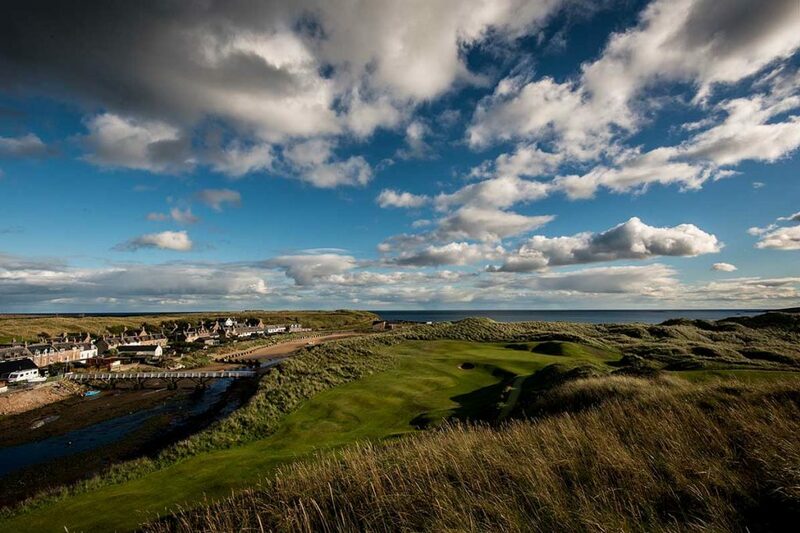 Resist the temptation to book a round for every single day on your Scottish or Irish golf trip. Despite trying to get my legs in shape for each of the half dozen trips I’ve made to Ireland or the U.K., they just don’t seem to recover after walking 18 day after day. Consider a couple down days for sightseeing or shopping. (My guys took a morning to try and see the Loch Ness Monster, they didn’t; I slept in that day and explored metropolitan Dornoch, which consisted of a bank with an ATM, coffee/pastry shop, art gallery, book store/post office, pub and Italian restaurant). The weather. I tell people that over there, it’s either raining, it just rained or it’s about to rain. Invest is some serious rain gear and a good umbrella. While the summer months can be quite dry, a sudden downpour or steady day-long shower is common. Ken and Jim Mills booked the trip for the driest time of the year. It was the first time I didn’t get drenched at least once. In fact, I had spent so much time and effort assembling my rain gear I was practically begging for rain by the trip’s end). 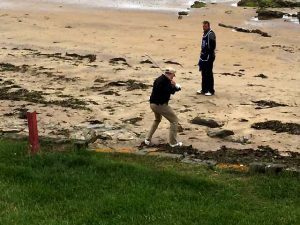 Case in point: On one trip to Ireland, I made a phone call on a rain-soaked morning to inquire about the weather at County Sligo Golf Club at Rosses Point, where we were scheduled to play. “It’s absolutely lashing here,” the shop attendant reported. Are people going out, I asked. “Of course, they are,” he replied, confused as to why I had asked. Equipment to take. Take several golf gloves and golf towels. That avoids the need for using gear still west from the previous day. Having a comfortable pair of athletic shoes as a backup to still-damp golf shoes is a good idea. Take plenty of balls and tees. Golf equipment in the U.K. and Ireland is expensive. It can’t hurt to take maybe two dozen balls for a week-long trip. 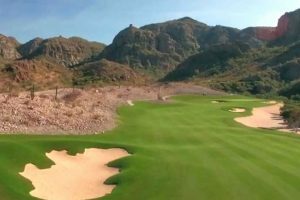 The primary rough is the same thick stuff you see on TV during the British Open. Beyond the fescue lies the Gorse, an impenetrable man-size hedge that is a diabolical cross between a rosebush and a cactus. Trying to retrieve a ball from the Gorse can leave you seriously bloodied. After several early trips during which I lost record numbers of balls, I began packing the best of my shag bag and leaving the new ones at home. Tipping: Americans, comparatively speaking, are tip-happy. Not that the Scots or Irish won’t take your money. If ordering drinks at the bar, no tip is required. Restaurant waitresses get 10 percent for good service. Caddies get 5 or 10 pounds beyond their fee if they perform well. A housekeeper gets a couple pounds. In the case of Robin, our van driver, who in addition to prompt, courteous service, gave us a driving tour of Edinburgh and stopped by his own golf club to give us a restroom break and a look around, each of the six of us contributed 10 pounds a day at the end of the trip. Currency. Increasingly, credit cards are eliminating foreign transaction fees but it’s best to inquire before you leave, as well as alert the company that you'll be traveling abroad. It may be worth shopping for a card that doesn’t charge for foreign ATM transactions. 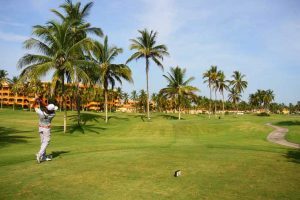 Caddies are always paid in the local currency,so you can quickly find yourself short of cash after a week or more of golf and pubbing. Shopping. If you do any shopping, you’ll be handed a Value Added Tax (VAT) receipt and refund form by the store clerk. Foreigners get the VAT they pay at the counter refunded upon leaving the country. I bought a windbreaker and two golf shirts on sale at the St. Andrews Golf Store at St. Mary's Place and Market Street, which offered better prices than Auchterlonies near the Old Course. I think I spent $100. 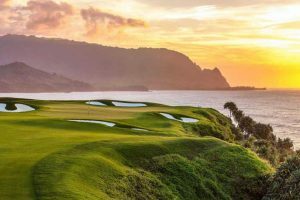 Weeks after I dropped the claim form in VAT refund box at the Edinburgh airport, a check for $10 arrived in my mailbox – a belated but pleasant reminder of a good golf trip.